The Rotary Club of Thame's display provided information about the club's activities and the charities supported in 2016-2017 including Red Kite Children's Centre, WheelPower, Hope and Homes for Children. A ShelterBox and AquaBox were on display. The public was able to find out how these charities started and operated by Rotarians complete disaster relief projects. The public had the opportunity to win 3 hampers full of good foods and wines by purchasing raffle tickets. The profits from the raffle tickets sale went towards Rotary Club of Thame charity account. The club raised a bit over £660. Rtn Linda Emery, Mayor of Thame, drew the winning raffle tickets. 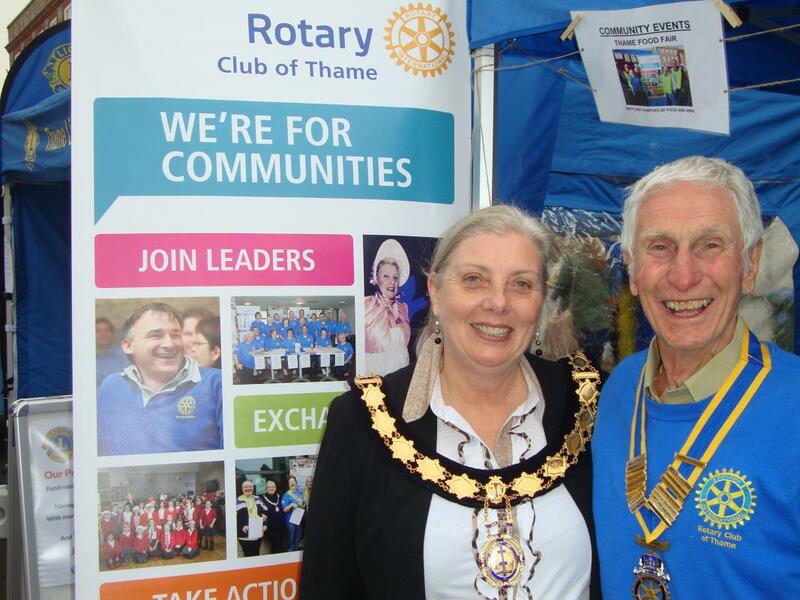 Members of the public were able to find out how easy it is to join the Rotary Club of Thame as a member.